The history of football governance has followed a remarkably predictable pattern in recent years. Since 1999, we have witnessed seven major government-related reports on the way football is run culminating in the DCMS Select Committee’s inquiry on football governance and the Committee’s follow-up report on progress since the government’s response published in 2013. While each report has had its own focus, a central theme running throughout has been the inability of the Football Association (FA) to regulate English football properly – its job as the governing body of English football. In 2011 the then Sports Minister Hugh Robertson claimed football was the ‘worst governed sport in the UK’ thanks to astronomical club debts and a gross imbalance of power within the FA’s corridors of power. It is not that no progress in the governance of the game has been made at all. The recent introduction of ‘financial fair play’ by the Premier League and Football League is to be welcomed as is greater transparency around agents’ fees and demands on clubs to provide ‘future financial information’ to their respective leagues. The point is that these reforms have come as reluctant concessions from the football authorities (the Premier League in particular, which continues to command disproportionate influence at the FA), scared that unless they act, they will be subject to government legislation as the former Sports Minister has threatened, and made to give up their locus of power. What is required is a radical re-think about how the game is run, not tinkering around the edges which temporarily placates the onslaught. CentreForum think tank has recently (Feb 2014) produced a report outlining how this could be done. The basis of our research is the assumption that football is a public national asset as well as a commercial machine. Clubs are community institutions and the regulatory system should take this more into account. Supporters, in particular, play a crucial role in the creation of the ‘product’ that is modern football, providing a crucial source of income for most clubs and the generation of passion, meaning and atmosphere at matches – arguably, TV deals would be greatly diminished if people were paying to watch matches without supporters. One would have thought that the contribution to the game made by supporters would result in some form of recompense for them in their direct ability to influence the way the game is run. Instead, there is a false rhetoric from the football establishment which, whilst lauding the importance of supporters offers them no such direct engagement in the way the game is governed. Hence, whilst Premier League sponsors Barclays launched a campaign this year telling supporters that ‘You are football’, it is also the case that currently supporter based groups are given just one representative in the whole of the FA’s governance structure . The reality has been that supporters have been powerless to stop a 700%+ increase in ticket prices since 1989 (despite record revenues and statutory inflation rising by 77% in the same period), club traditions being desecrated (e.g. club colours at Cardiff, or even city of location at Wimbledon). Even the ownership structure of clubs is often unknown, as was the case at Coventry City whose structure reportedly had seven holding companies, many of whom were registered abroad. To ensure we do not continue on the cyclical path of crisis and minimal reform, what is required is proper accountability and transparency both in the management and governance of individual clubs and of the national game. In 2011, Lord Triesman, the former FA Chairman, gave oral evidence to the DCMS Select Committee’s inquiry into football governance. He was asked about why the FA did not produce a submission for the former Secretary of State when he had asked for a response to a set of questions concerning governance of the game. He said that the FA had produced a document which contained a number of ‘substantive proposals’ including tighter financial regulation and concerning the appropriateness of certain owners of clubs. Speaking with parliamentary privilege, the reason he gave why it was not officially submitted was that the professional game representatives on the FA board took perhaps a maximum of two minutes to say that the document should not be submitted and to issue a board instruction that a response should be made simply referring the Secretary of State to the wisdom of the professional league, and in particular the Premier League.’ Effectively, because Premier League representatives did not support this tighter regulation, it was not going to happen, despite others within the FA’s desire for such reform. The fact that journalists, politicians and supporters had to rely on a former chairman speaking with parliamentary privilege (legal immunity) to reveal such shocking occurrences for a supposedly democratic and representative organization is systematic of the way the FA (English football’s governing body) was and still is run. 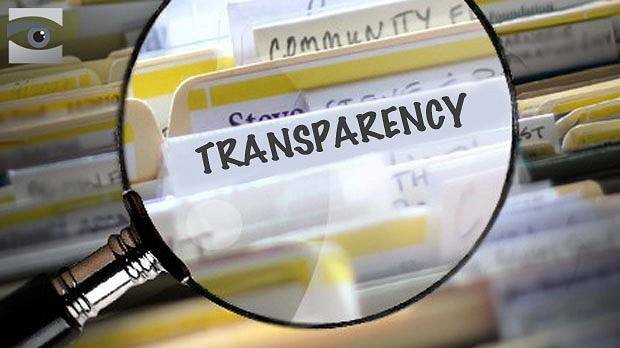 Greater transparency may not immediately produce seats on boards, but without it there can be no effective accountability. Current lack of action by many supporters is taken as acceptance of the status quo by the football authorities. In reality, it is the result of the combination of not being able to influence things and simply not knowing the truth about how and why many decisions are made which dis-empowers supporters. Release of the facts in banking, media (phone hacking) and politicians’ expenses angered people and empowered them to act. This can be the same in football. The main reasons for the parlous state of football lies at the governance level. The FA has the power to regulate, but seemingly prefers to delegate much regulation responsibility to the leagues. This means the regulated effectively become the regulator. To stop this we back the DCMS Select Committee’s proposal for the Main Board to be reduced to ten members with a maximum two Professional Game representatives and 2 National Game representatives. The FA Council is currently not fit for purpose, we recommend a reduction in its number of members and a maximum potential term of office of three years with one possibility of re-election for a further three year term. There should be at least three supporters’ representatives positioned on the Council (potentially one coming from the Football Supporters’ Federation, Supporters’ Direct and Level Playing Field). Its meeting agendas should be published beforehand and meetings should be open to attend or broadcast online. There is also good reason to think that the FA qualifies as a ‘public authority’ in the sense that it regulates our national game and clubs (community institutions), as well as receiving public money (mainly through Sport England). Consequently we are calling for it to be included in the list of organizations subject to the Freedom of Information Act. We suggest that the current mandatory public disclosure of holdings of more than 10% of a club (not always enforced) is included in the licensing regime and is reduced to holdings of 1% or more. Comprehensive three year ‘Future Financial Information’ currently demanded by the leagues should also be made public as well as all details of transfers, agents and player wages (this happens in the MLS in the USA, and it has not deterred players like Thierry Henry and David Beckham from playing there). Discover more by following this link. Clubs should also be required to publicly disclose the number of parent or holding companies involved (in any capacity) in the club’s ownership along with their location. The FA should also publish an expected reduction in the number of clubs going into insolvencies for the following three seasons. Finally, if any of this is going to happen, it will require the Sports Minister to act. Football has proven time and again that it is incapable of properly reforming itself. The Sports Minister should be held accountable to legislate if the football authorities do not act sufficiently to reform the game (it is our opinion they have not). We do not want to see the government run football, but time-limited legislation would enable many of the sensible DCMS select committee and CentreForum’s proposals to be implemented. The government is set to set out its position in the coming weeks or months. ← Are England in the most difficult group at the 2014 World Cup?